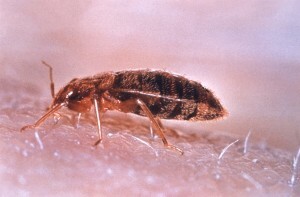 Bed bugs, up until a few years ago, seemed like a pest of the past, and the saying “Don’t let the bed bugs bite” just seemed like something your grandmother would tell you before you went to bed. However, infestations have become more and more common and it seems like the bed bug has made its comeback in the developed world. I don’t know about you, but bed bugs give me the heebie jeebies, and while it isn’t a pleasant subject it is certainly something to consider when you’re renting. This because bed bugs not only survive on the blood of mammals (i.e. us! ), but they also can completely infest your home. According to an article we read at BedBugDefense.com, before DDT was banned, it was used to kill bed bugs, as it was highly toxic to them and would remain in the application site for more than a year to prevent resurgences. However, it was banned as it was determined that DDT caused cancer, and since 1995, bed bugs have made a rather surprising comeback and have infested homes all across North America. According to the EPA, bed bugs are considered a public health pest, although they are not known to transmit or spread any disease. However, because they do feed on blood, they can cause allergic reactions at the bite site, whether it is simply a small mark or a whole body reaction. According to the CDC, bites can also cause secondary infections of the skin, and may even cause affect the mental health of those they infest. People who have experience bed bug infestations may experience things like anxiety, insomnia, and systemic reactions. However, what I think may be the scariest thing about them is that you can pick them up anywhere. All it takes is one brush of the arm from someone on the subway, sleeping on your friend’s couch, or staying in a hotel to pick them up, and once you have bed bugs, they will get into everything: in curtains, couches, beds, and electronics. This is what makes them so difficult to get rid of (also accounting for the fact that they actually live longer in the cold and love warm temperatures!). And while you think that it can’t happen to you, think again. No place is immune to the bed bug. 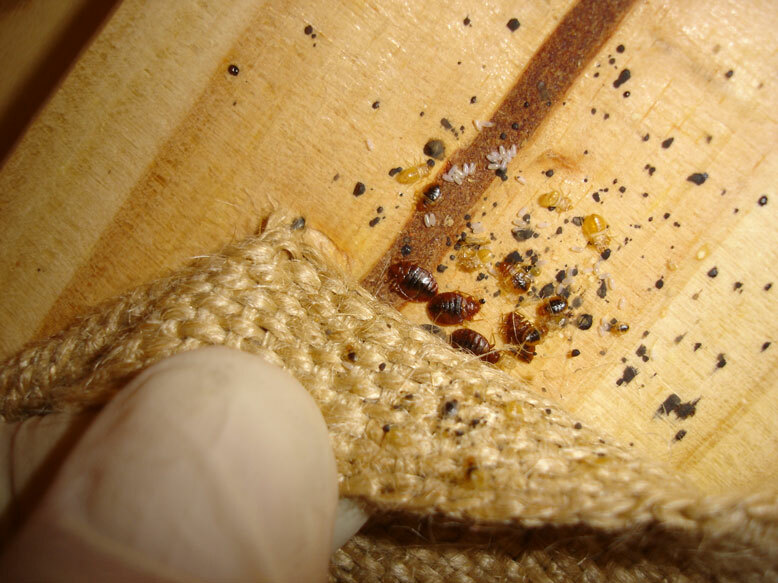 Your home doesn’t have to be “dirty” for you to have a bed bug infestation. They can infest even the cleanest of places. So I’m sure by now you’re probably freaking out and wondering how you can stop these intruders before they attack. Well, there are certainly some precautions you can take to ensure you don’t have a bed bug infestation. The first thing you’ll want to do is to inspect your apartment for bed bugs before you move in. You could either hire someone to do this or do it yourself. In either case, you’ll want to do this before you move in because bed bugs can go undetected for months. If you do choose to do this yourself, you’ll want to be sure to go through The Bed Bug Inspectors checklist. Check for telltale signs. You’ll want to check the floors and other surfaces for small black spots, shed bed bug skins, egg shells, live bed bugs (if you don’t know what they look like use the NYC Department of Health and Mental Hygiene checklist), and bloody or rusty stains. Another sign is a sweet or offensive musty odor. Uncover their potential hiding spots. Take a flashlight and a magnifying glass and thoroughly inspect window and door frames, cracks and crevices, carpet tack strips, baseboards, behind outlet and switch plates, smoke detectors, thermostats, loose wall paper, molding, and wall junctions. Once you made sure there are no signs of bed bugs, you’ll want to be sure to “bed bug proof” your home. While you can’t prevent everything, there are some precautions you can take. The first thing you’ll want to do is be sure to elevate your mattress off the ground. You will also want to protect your mattress by using a protective mattress encasement, as well as protective pillow encasements. You may consider using climb up interceptors on the feet of your bed frame. These will help prevent and trap bugs from climbing onto your mattress. You may want to monitor your home by conducting regular inspections and by placing bed bug traps around your home. While this won’t solve the problem, it will certainly give you a definitive answer if your home is infested or not. In order to prevent future infestations, you will want to be sure you are careful of where you stay and who is staying with you. When you go on vacation, you can check the hotel you’ll be staying in by going to BedBugRegistry.com to see if there have been any bed bug reports. You will also want to be sure to conduct an inspection of your room before you place your belongings down, and you will want to keep your belongings elevated off the floor at all times. To ensure that your friends don’t bring bed bugs to your home, help them to inspect theirs. Make sure they are as careful as you are about inspecting their home, and staying clear of places that could potentially have bed bugs. With what you learn, you can help protect themselves too.